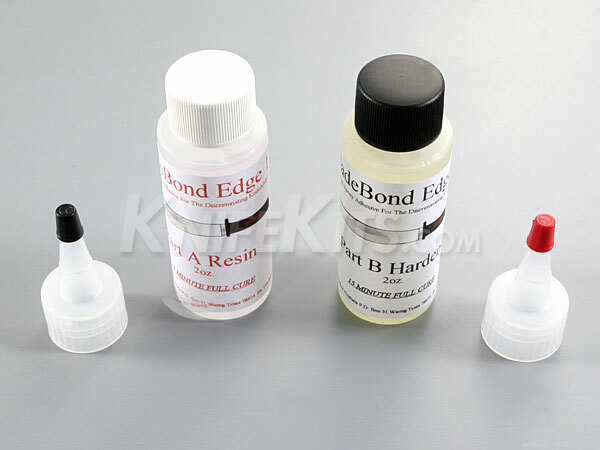 BladeBond Edge 15 is the first industry specific epoxy adhesive formulated for the discriminating knife maker. This mixture, Edge 15, is a 2-part formulation that has a has a 15-minute full cure time. Edge 15 comes in a 4oz size and features removable applicator tops for ease and accuracy of use. This is a top-shelf epoxy and will not shrink or crack.